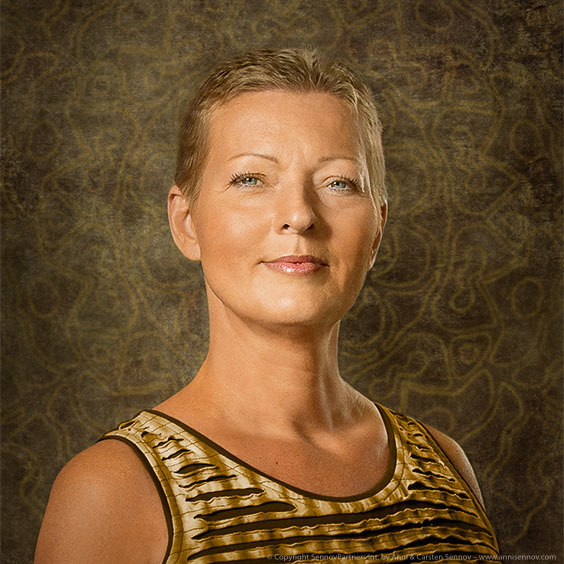 Therese Lindberg is director of the Aura Mediator Courses™ in Scandinavia (Sweden, Denmark and Norway) and she cooperates on a daily basis with Anni Sennov, the woman behind AuraTransformation™. Furthermore, she is a certified Instructor of the Aura Mediator Courses™ in Sweden, Denmark and Norway as well as being an Aura Mediator™ and four element profile™ partner in Sweden and Denmark (www.fourelementprofile.se and www.fourelementprofile.dk). For more information about where and when next lecture is to take place, or to book a lecture (in Sweden or elsewhere), please see: www.thereselindberg.com. “Already when I was 3-4 years old, my parents and especially my mother understood that I was a little different. When I walked around in our house, I told lively stories about experience from previous lives and had an extraordinary large interest in anything related to Egypt. My life has been marked with a lot of experiences and different events. This helps me today in my work as a therapist, teacher and lecturer. I burn to bring out the essence, the most important things in life – the exuberance in everything I do or engage in. It is very important for me to help my clients to find the answers for themselves, to the most important questions in their lives. I believe that helping people to be able to help themselves is what makes the world evolve, both physically and consciously. When all people can see their own way and dare to trust it, spiritual and physical abuse of power will slowly disappear. Every individual will deep in themselves find their own answers and no one else is really able to decipher them. Spirituality is often presented with difficult words by people placed on a pedestal. In fact, it is not so difficult and need not be incomprehensible. One of my life’s tasks and my Dharma is therefore to unite high-frequency spirituality with earthly physics in a way that everybody can understand. An AuraTransformation™ does not only provide an increased consciousness, many have actually already been in touch with their consciousness for several years, but the primary advantage is that the body gets a functioning energy body/aura. When someone does not have a functioning energy body, the body cannot load up or receive energy. I have many clients that despite personal trainers, chefs, nutritional experts and high-quality food supplements, are unable to boost the body’s capability because of the missing energy body/aura. You can compare an old energy body to a colander. But since most people cannot see energy body/aura, most people are unaware as to why they feel so much older than what they really are. For instance, you might be tired even though you sleep more than most people and more than 8 hours per night. What happens with your exuberance when you are constantly tired? I believe that despite what you have, or don’t have, in your life, exuberance is the single most important thing. If that disappears, everything simply becomes survival – one day at a time. Most people need more exuberance and more energy.